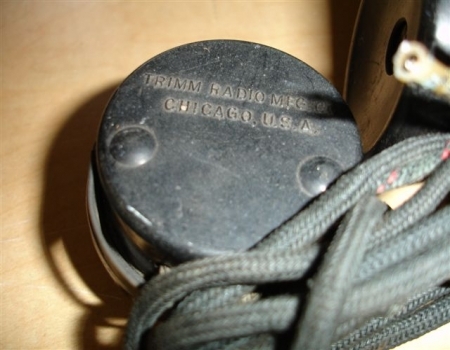 A set of Trimm headphones manufactured by Trimm Radio MFG Co. Chicago USA. 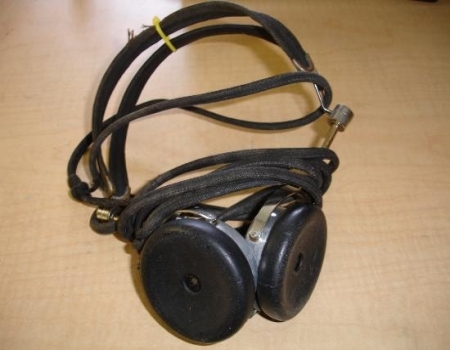 A set of Trimm Dependable headphones manufactured by Trimm Inc. Libertyville Illinois USA. 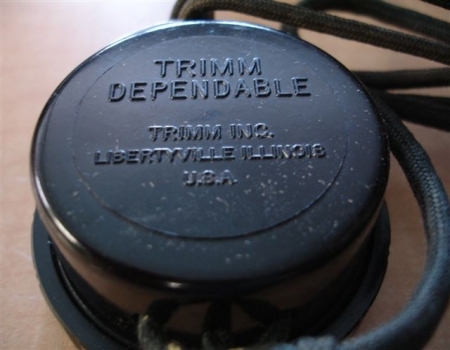 Another set of Trimm Dependable headphones manufactured by Trimm Inc. Libertyville Illinois USA. 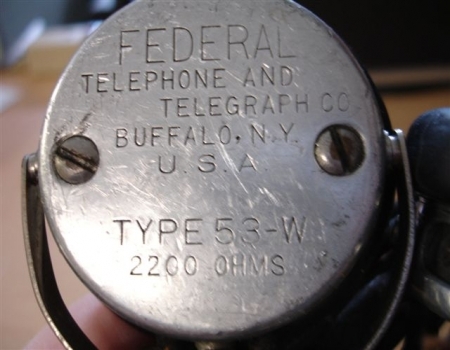 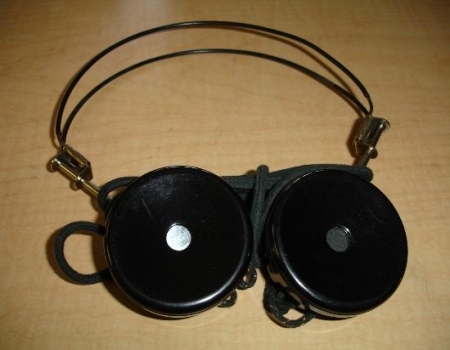 A set of headphones manufactured by the Federal Telephone and Telegraph Company of Buffalo NY USA. 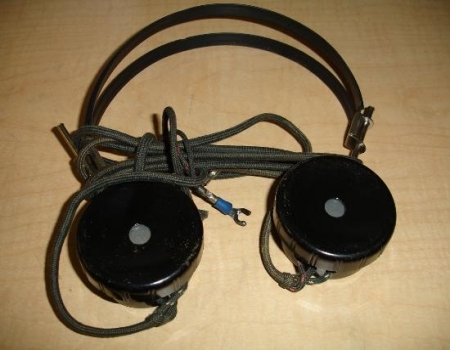 The model number for these headphones is Type 53-W and they are 2200 Ohms. 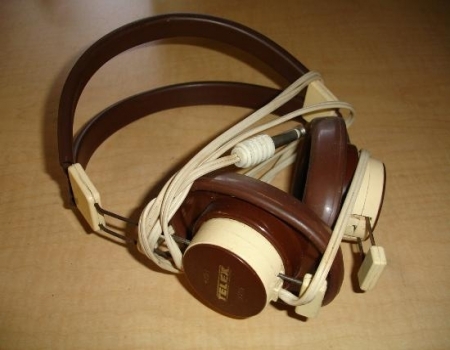 The photograph on the left is a set of headphones manufactured by Telex and the model number of these is 6101. 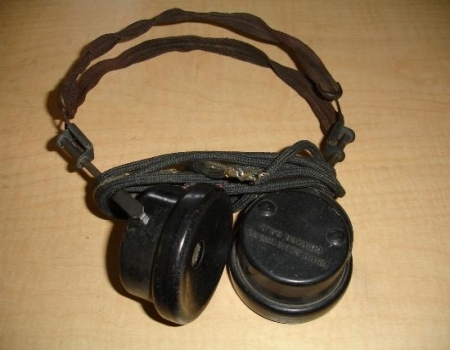 I believe these have an impedance of 6000 Ohms. 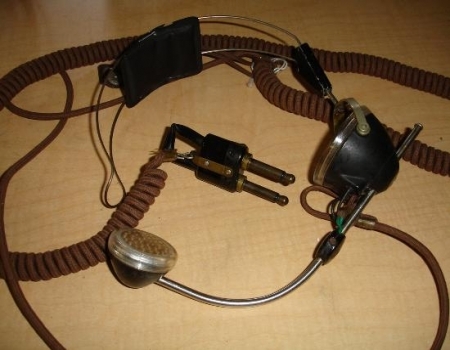 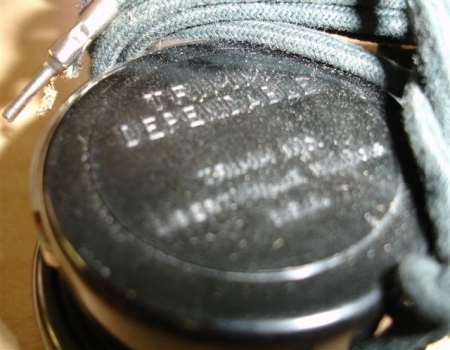 The picture on the right is a headphone and microphone combination manufactured by Western Electric Bell Systems and having a model number of 52.